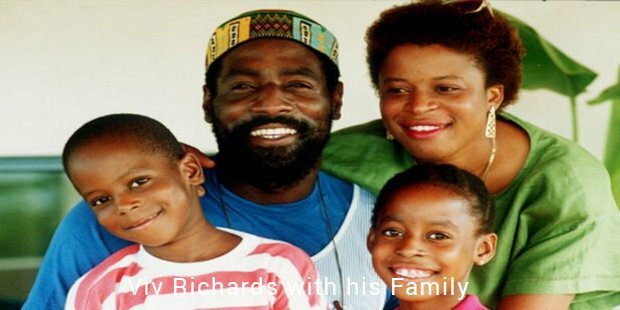 Viv Richards is a West Indian cricketer who is considered to be one of the best batsmen to have ever played the game of cricket. He has been voted judged by the Wisden Cricketer’s Almanack to have played the greatest innings of all time, where he scored a 59 ball hundred to reach the score of 189 against England in the year 1984. He was voted as one of the five cricketers of the century in 2000 by a panel of more than 100 historians, players and cricket experts. He has been regarded as the greatest ODI (One Day International) batsmen and the third greatest Test batsmen of all time behind Don Bradman and Sachin Tendulkar. 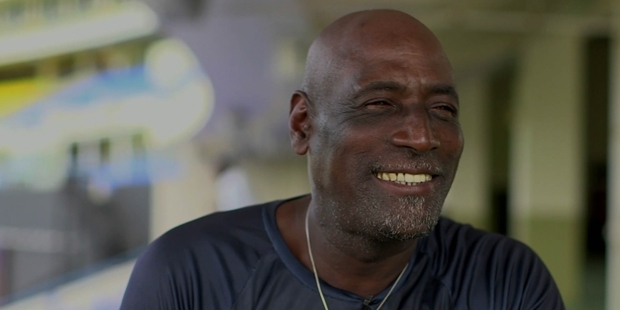 Isaac Vivian Alexander Richards was born on March 7, 1952 at St. John’s, Antigua. He showed promise as a cricketer at a very young age inspired by his brothers Mervyn and Donald who played for the Antigua team. He went to the St. John’s Boys School, and later shifted to the Antigua Grammar School. Here he received appreciation and support from both his sports teacher and headmaster. He left school at the age of 18, to play for the St. John’s Cricket Club. During this time, he also worked part-time at the D’Arcy’s Bar to fund for his cricketing expenses. With his impressive talent on show, he was soon promoted to the Rising Sun Cricket Club. He played there for around 3 years, in which he amassed huge runs to get the notice of promoter Len Creed, who was the Vice Chairman at Somerset C.C., one of the best county teams in England. In 1974, Len arranged for Richards to play for the Lansdown Cricket Club where he was selected as part of the second XI. Soon he was promoted to play for the first team, and he ended the season with the highest average in his team. Immediately he got a two contract to play for the Somerset Cricket Club. In his first match for Somerset itself, he was awarded the Man of the Match trophy for his match winning performance. This was the first of Richards’ numerous match winning innings. From playing cricket for a local team just a year ago, Richards had gone on to make his debut for the West Indies national team at the age of 22 against India. In his second test match itself, he went on to score an unbeaten 192 which cemented his place in the side immediately. In the inaugural 1975 limited over World Cup, Richards was instrumental in taking his team to victory. He continued his dazzling form by scoring 1710 runs in 11 Tests, in the year 1976. This has stood as the World record for the highest runs scored in a calendar year for 30 years. Richards was named the captain of the West Indies Test team in 1984. He captained his side for 50 Test matches out of which they won 27, drew 15 and lost 8. 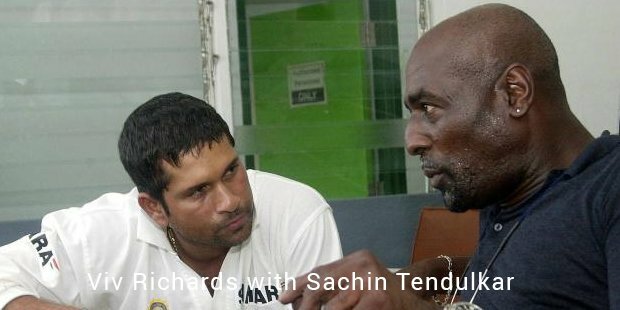 He has the distinction of being the only West Indian captain who has never lost a Test Series at home or abroad. His batting was such that he massacred the fastest of deliveries without any fear. In the 121 Test matches he played for the West Indies, he scored 8,540 runs at an average of 50.23. He has been one of the most entertaining cricketers, with his name and fame popular even in the smallest countries where cricket is played. He is without a doubt one of the most successful cricketers of the modern era.